4 pieces set: 12 drawers with 16 compartments top sections which makes it possible be arbitrarily combined. Removable black mesh padding keeps jewelry protected.Won't absorb color, easy to clean with water. 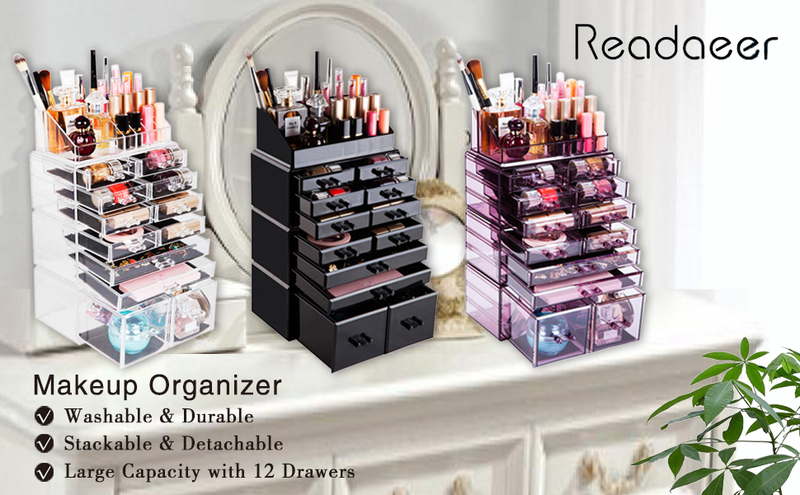 This Readaeer Clear Makeup organizer organizes all your favorite makeup essentials into your own personalized makeup and cosmetics beauty counter! 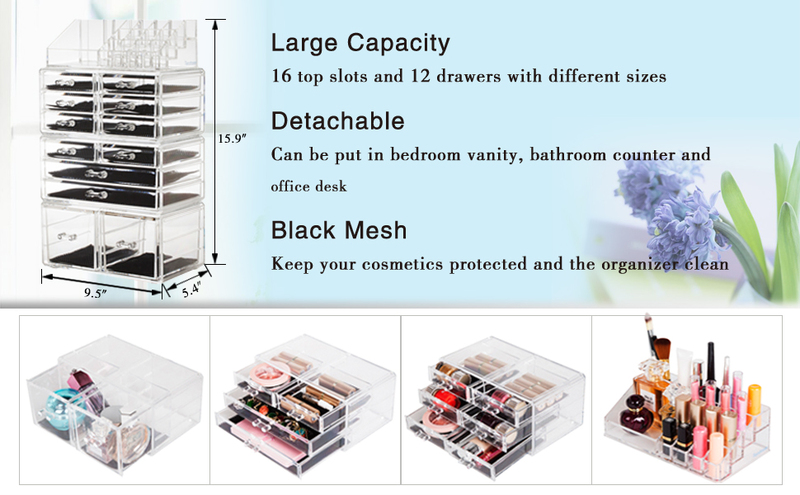 This cosmetics organizer includes 4 sections. The top section includes 16 compartments, which can be used to organizer your makeup brushes, lipsticks etc. And the 12 drawers allow you to organizer your shadows powders and even jewelry.